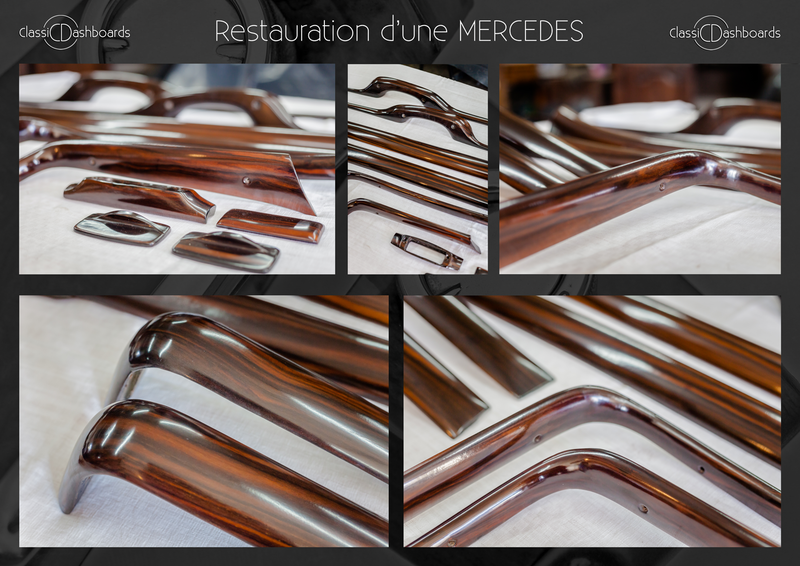 Our classic car restoration services are also offered to restoration garage owners. 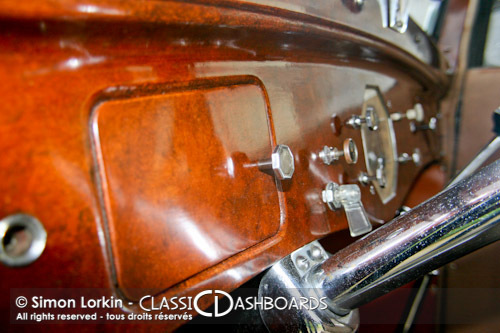 Simon Lorkin has been working alongside garage owners for many years, helping them give their clients the interior of their classic car that they’d always dreamed of. 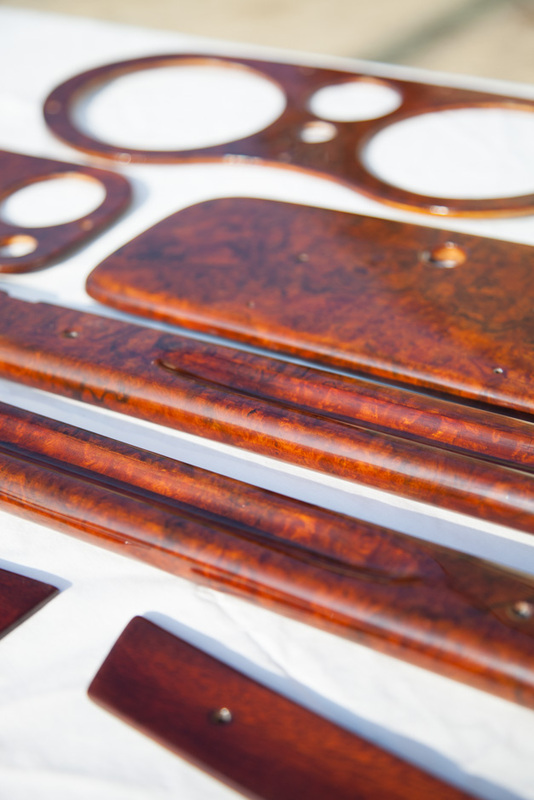 He works on wooden dashboard and interior trim using his craftsmanship to bring out the beauty of the woodwork using water-based lacquers to give a fine finish, so it looks as it would when it would have left the factory (not using the thick PU lacquers that are used in modern cars). He also creates a hand-painted wood efffect on metal dashboards, door cappings and window surrounds, mainly in a rich burr-walnut effect, but other effects can be achieved. 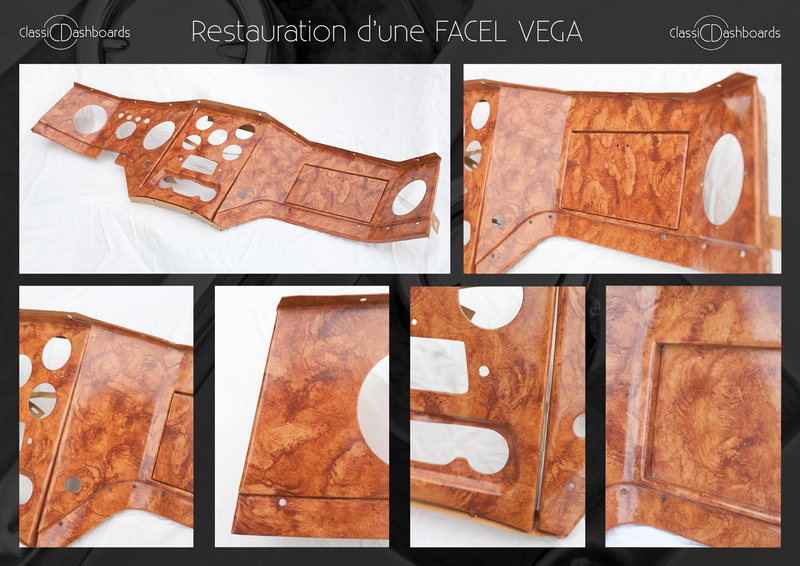 In recent years he has also become the go-to restorer in Europe for Facel Vega dashboard restorations with their very specific painted Facel Style wood effect. How do I get a price for my client’s restoration project ? 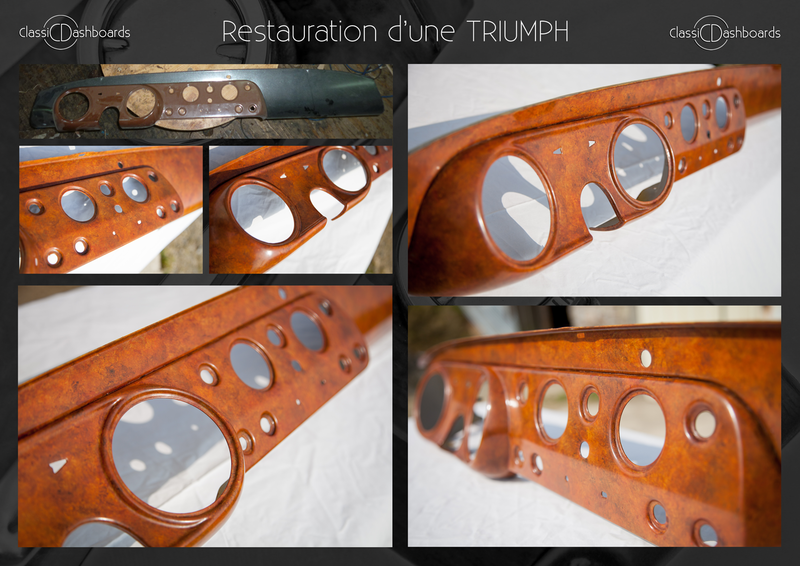 Please provide detailed photographs showing the condition of the interior woodwork and metal or wooden dashboard and a costing can be provided via email. 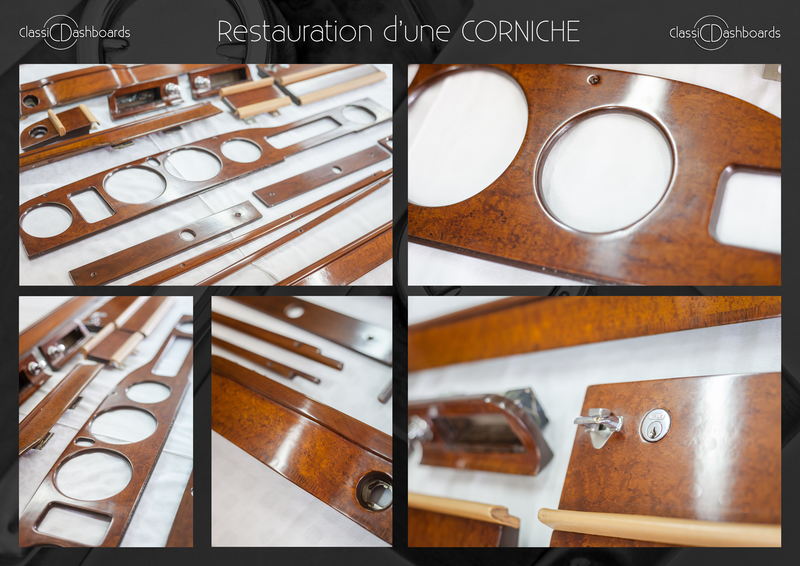 If you would like to go ahead you would then strip all items from the woodwork, including all instruments, hinges and all pieces of leather, metal or plastic. 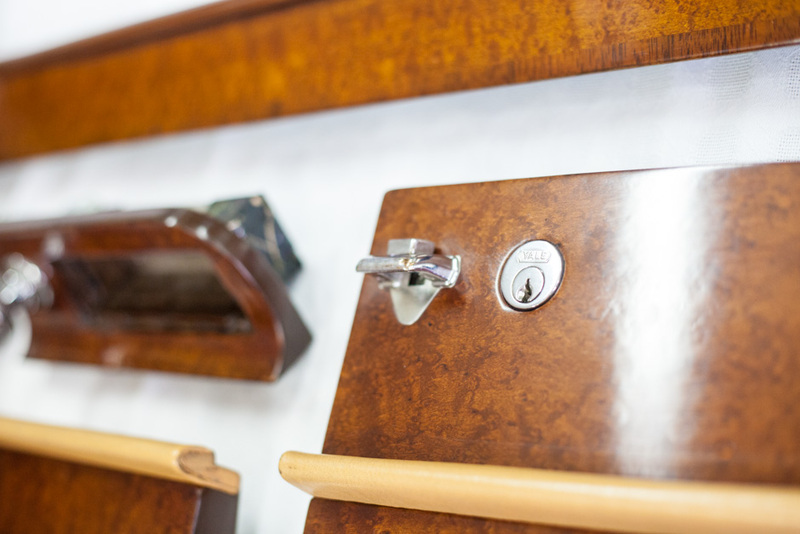 the items should arrive ‘bare’ apart from glovebox hinges and locks as we would refit those afterwards to check they are aligned and work properly. How do I get the items to your workshop? LONDON & THE SOUTH EAST – If you live in London or the South East of England there is the opportunity of me coming to visit you and to look at the items on one of my monthly trips to England. ELSEWHERE – EUROPE & WORLDWIDE – If you are further afield in Europe or around the world your local postal services can be used to send the items to me. We regularly have deliveries by the large worldwide transporters such as UPS and FedEx. All dashboard packages to us or back our to clients have arrived successfully undamaged at their destination. Remember to package the items well. 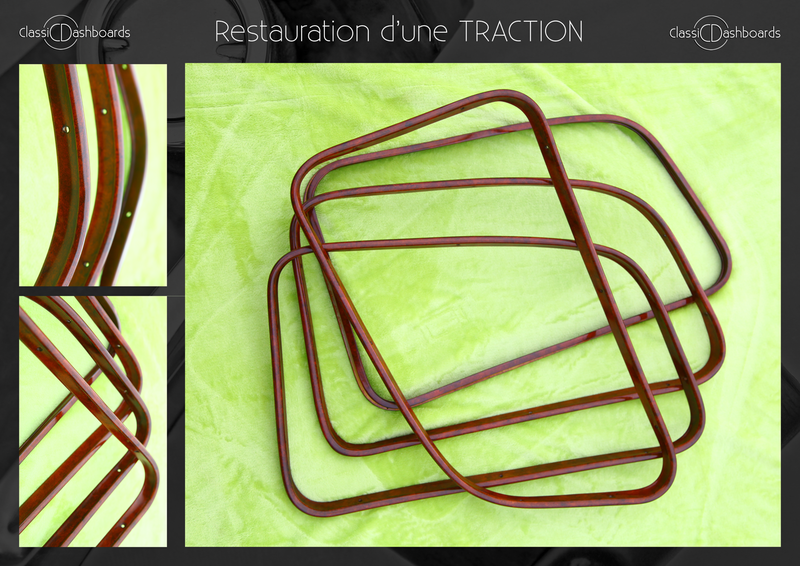 Even before restoration the items are precious to your client and the vehicle. 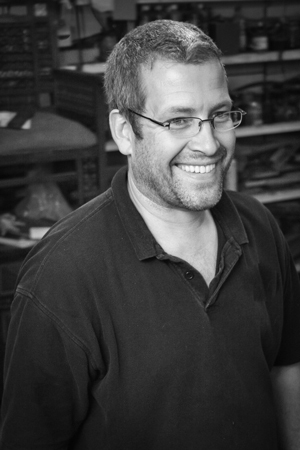 Please feel free to contact Simon Lorkin during business hours to discuss your clients requirements. 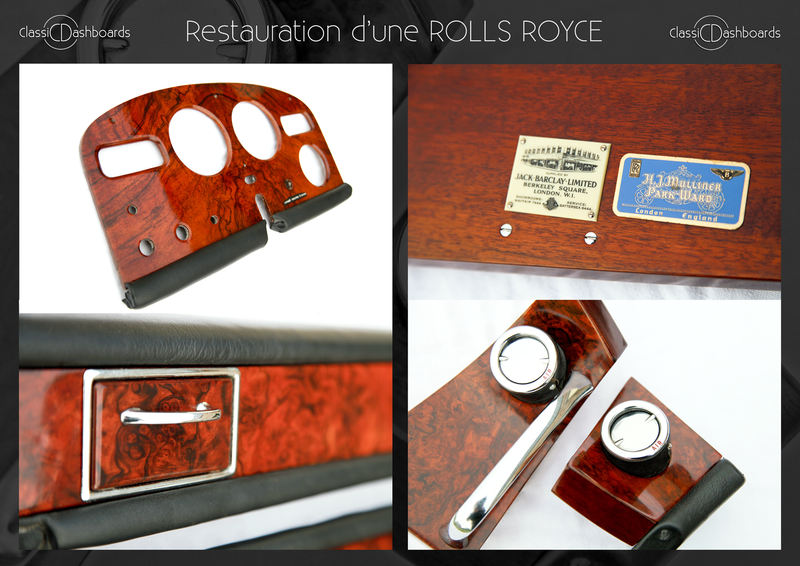 As a restoration garage owner we’re sure that you’re busy, so if you haven’t got time to have a good look around the website, here are a few examples. 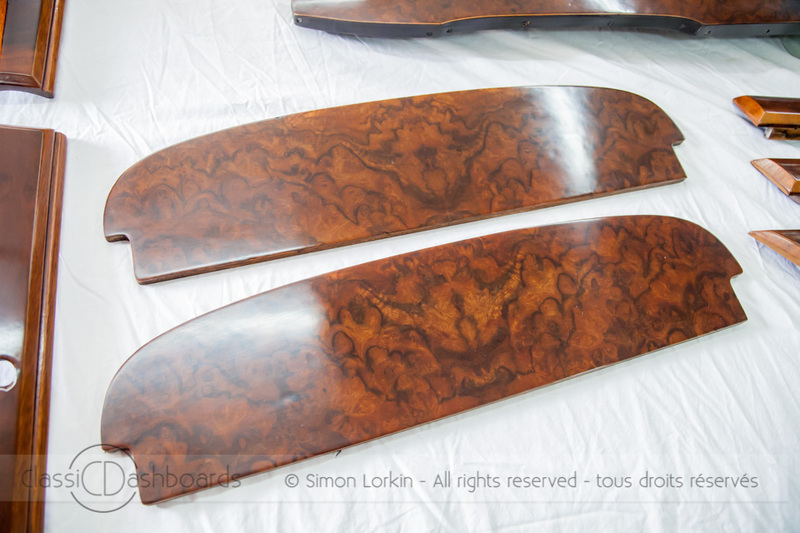 The following photos show Simon’s expertise in veneering down into door capping tops and even round corners that are a right angle, sich as for the Alfa Romeo on the right. 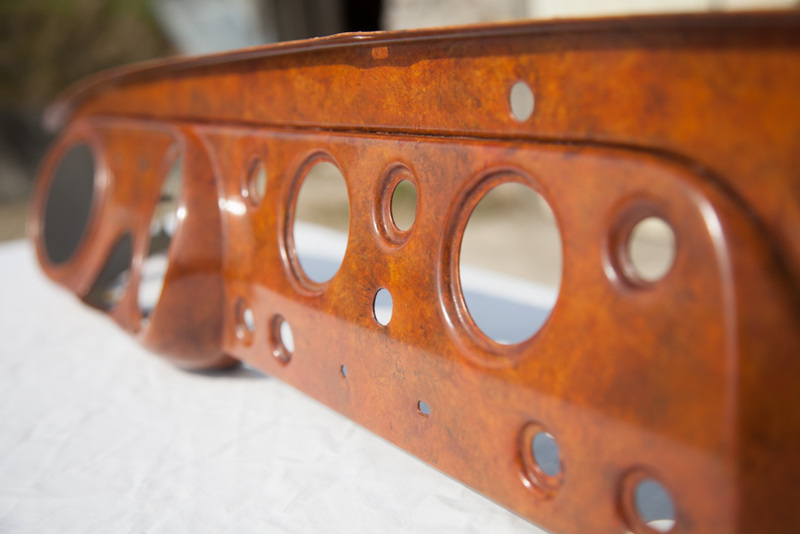 If you have a tricky dashboard of interior trim that you need help with please contact Simon for advice. He has over 30 years experience and regularly carried out restoration for garages. 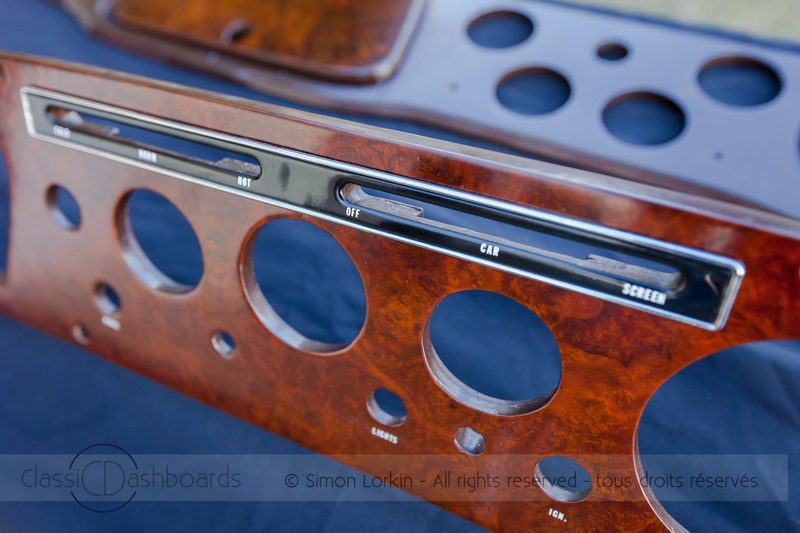 Whether it is a simple, flat single dashboard such as a Triumph TR6 or a complete restoration for a Jaguar, Mercedes or Bentley with anything up to to 30 pieces of woodwork, Simon has the skill and expertise to handle the work for your client on your behalf. 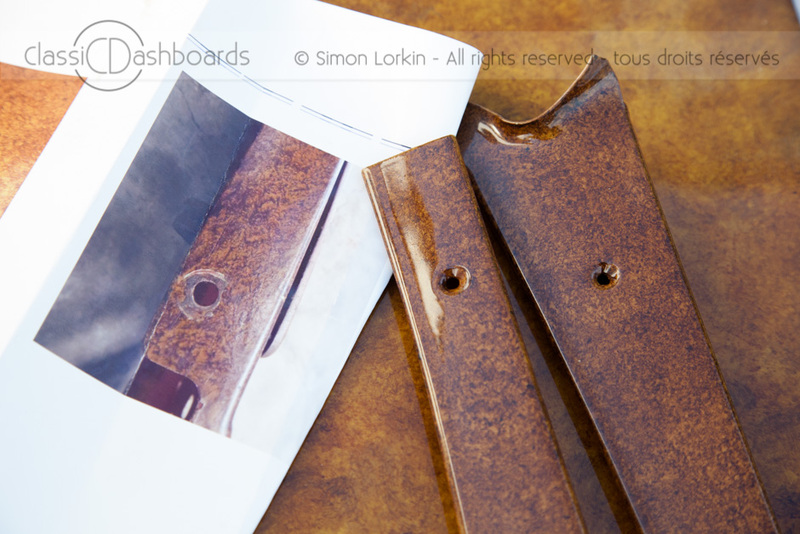 Here’s a unique hand painted wood effect for a Lancia dashboard restoration, created to match a single small photo that the cleint emailed as there are only two of this specific Lancie model left in France and he wanted to match the original. 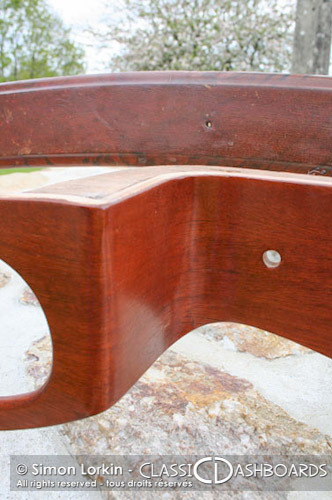 Lettering can be replaced after restoration or replacement of the veneer on a dashboard. 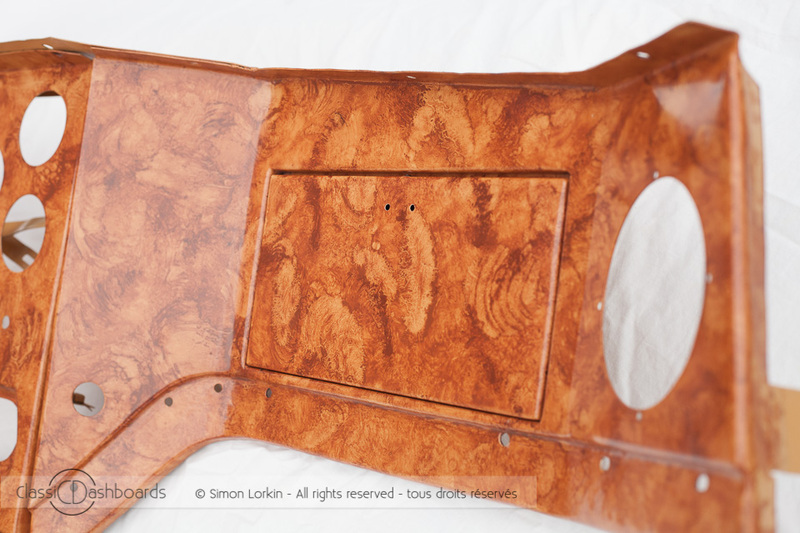 Here’s an example of a ‘lighter’ toned hand painted Facel Vega dashboard ready to be replaced in the car by the restoration garage in the Netherlands. 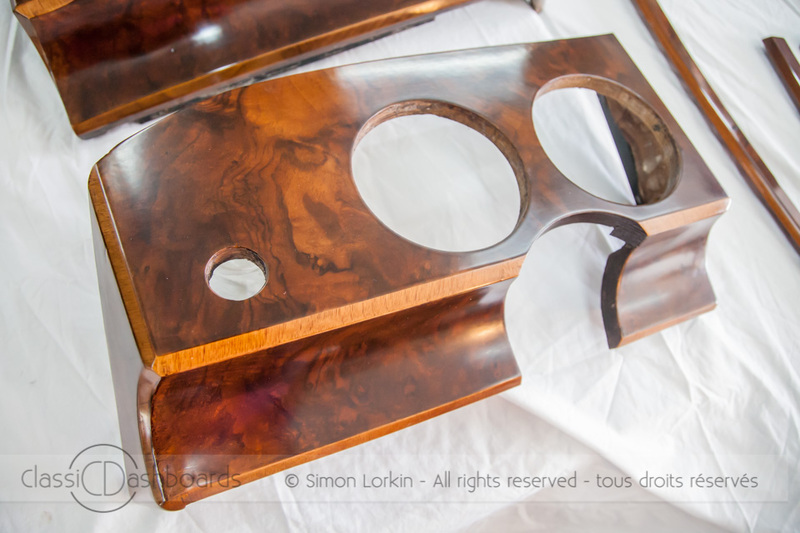 Hand painted burr walnut wood effect for a 1930 Renault MonaQuatre – The first metal dashboard Simon restored. Here are a few photo montages of projects. 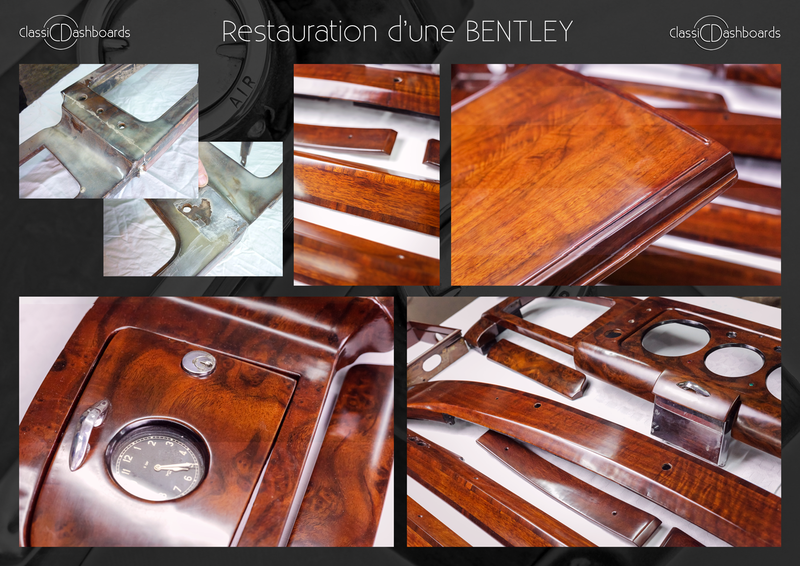 Have a look at the before photos of this Bentley woodwork to see just what a state it was in when it arrived in the workshop, as humidity had clouded the lacquer finish by getting in from behind.